Well he has passed away after his health going down hill,this guy was the best,awesome guy,fearless daredevil.RIP! Last edited by Fast Lenny; 11-30-2007 at 05:48 PM. 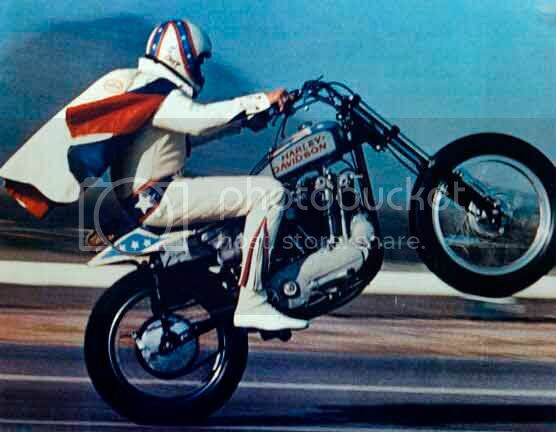 Much like Fats, Evel Knievel was quite a showman. The most famous man to touch a motorcycle ! 6yr to 96yr you have heard of the man ! I read one story about a jump he did that the gears he had on order didn't come in but he did the jump anyways and piled it up ! But he couldn't turn the fans away !